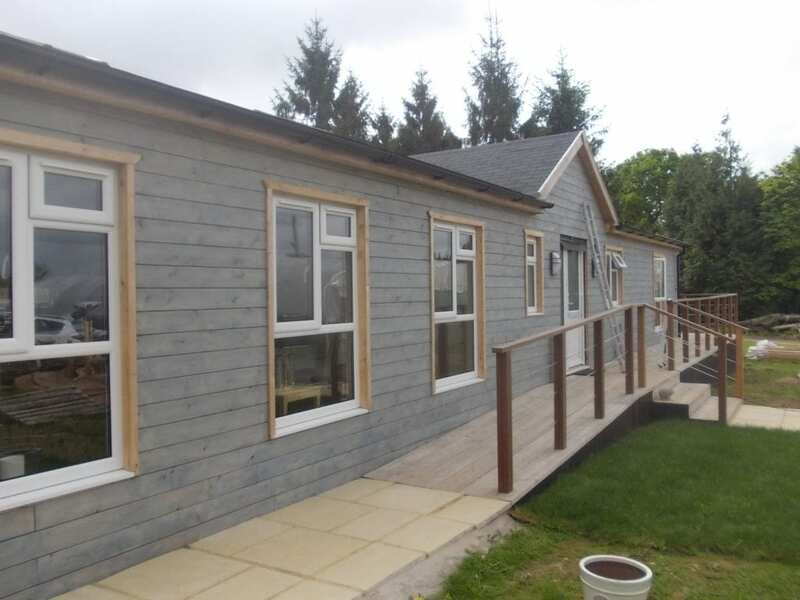 Why Stop Living At The Patio Door When There Is Plenty Of Room To Extend Your Living Space Into The Back Garden? 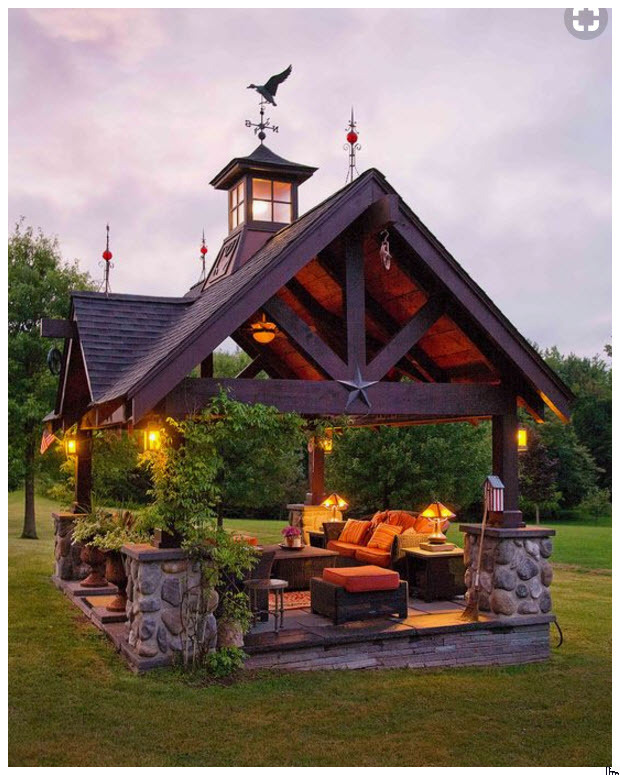 When it comes to outdoor living spaces, wood is my favourite choice. Being a time-served carpenter and joiner I'm a bit biased when it comes to that. But there is nothing I like more than to help you create an outdoor living space you can enjoy more of the year round, even living in the UK! 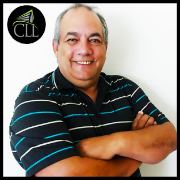 I'm Pete Cossie and if you want a free quotation about transforming your garden into your own outdoor oasis simply send me your details via the Contact Us page and I'll get back to you ASAP. 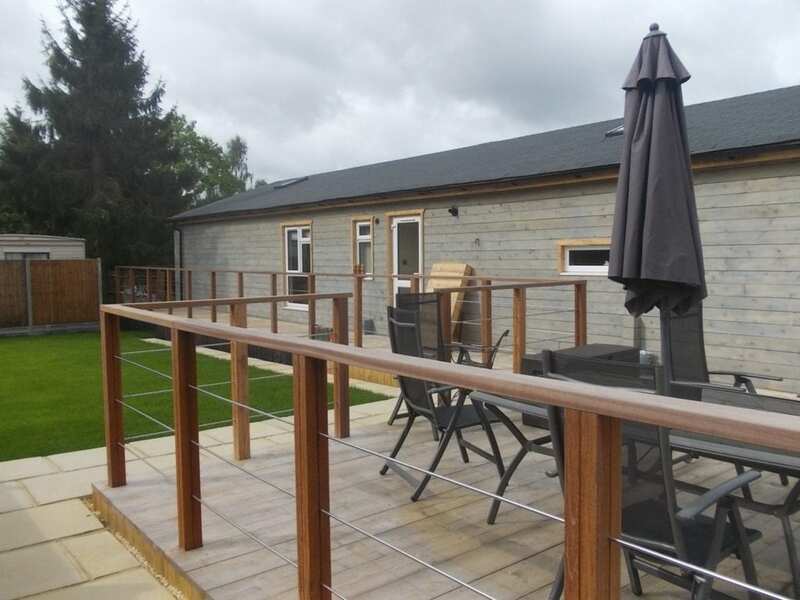 Are Looking To Turn That Back Garden Of Yours (the one you hate mowing) Into An Outdoor Living Space That You Can Enjoy More Of The Year Round? 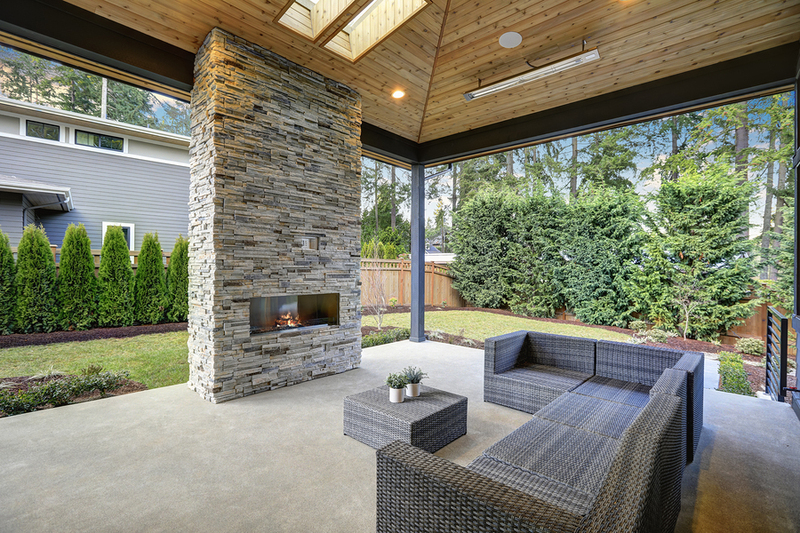 If you are nodding your head at the screen right now, then I would invite you to check out our Outdoor Living Spaces. 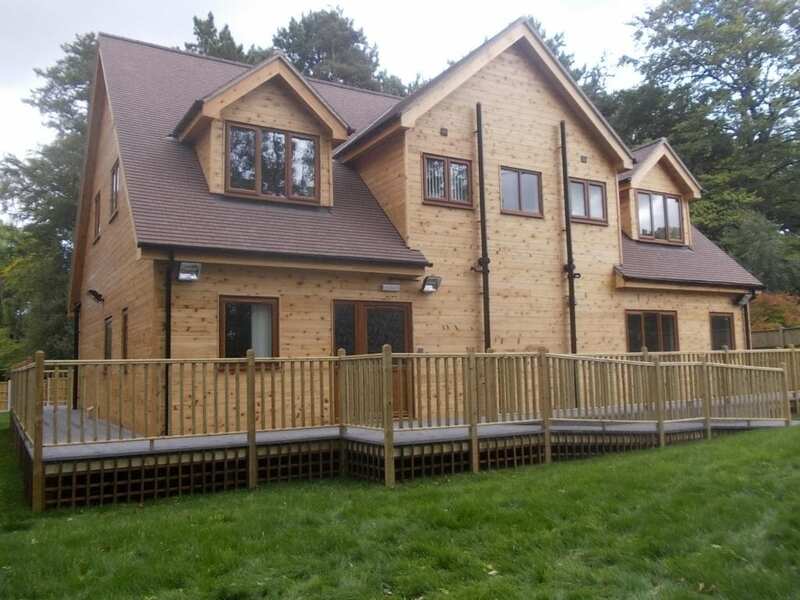 We can handle hard-landscaping, decking, artificial grass, paving, paths and outdoor kitchens. If you have an idea for a modern low-maintenance garden, then we'll be more than happy to discuss what you have in mind and provide you with a free no obligation quotation. When you begin to think about your outdoor space as an extension of your home and you have people who love building things out of wood close to hand (that's us by the way) magic happens! 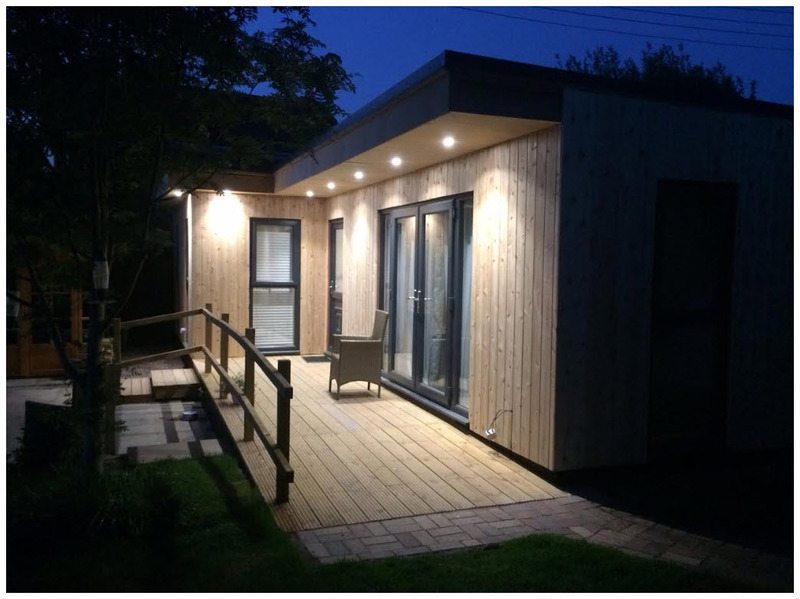 Whether you want an outdoor living space for entertaining, relaxing or somewhere you have your new home office, gym, cinema or hobby room, we can help you achieve the very best design possible and help you create your own oasis in your back garden. Outdoor living spaces like these are the next "must-have" accessory"
Extending your living space into the garden is something that not only has the potential to double your living space but it also offers you a new way to wind down and relax after a long day or make it easy for a great family get together over the weekend. They are also fast becoming the next "must have" accessory for home owners stuck with a new house with a small garden and a no extension covenant. 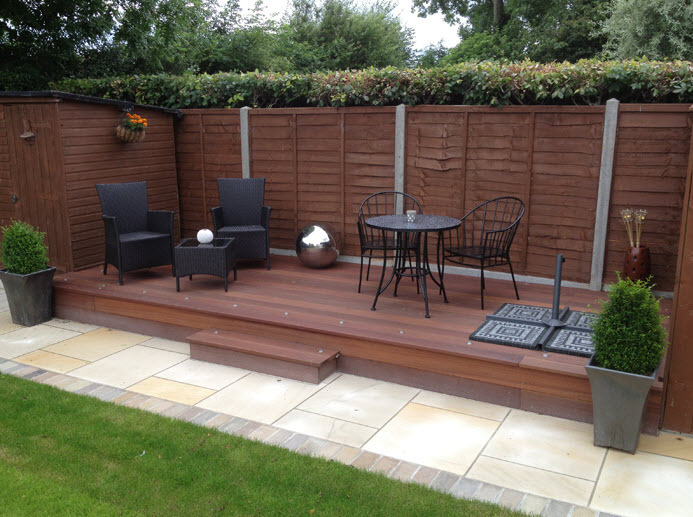 What better way to create more space and make your garden extremely low maintenance at the same time than with one of our creative Outdoor Living Spaces. Coming home after a long day at the office can be 10x more relaxing if you have a tranquil area of your garden where you can sit back and relax. In today's demanding work place, we are frequently being asked to work longer and longer hours which can create havoc with our family and social life. Creating a relaxing place outside your home creates a holiday feel to the end of your every day. If you need extra privacy to create it, think about bamboo screening in planters or a modern fence or screen. 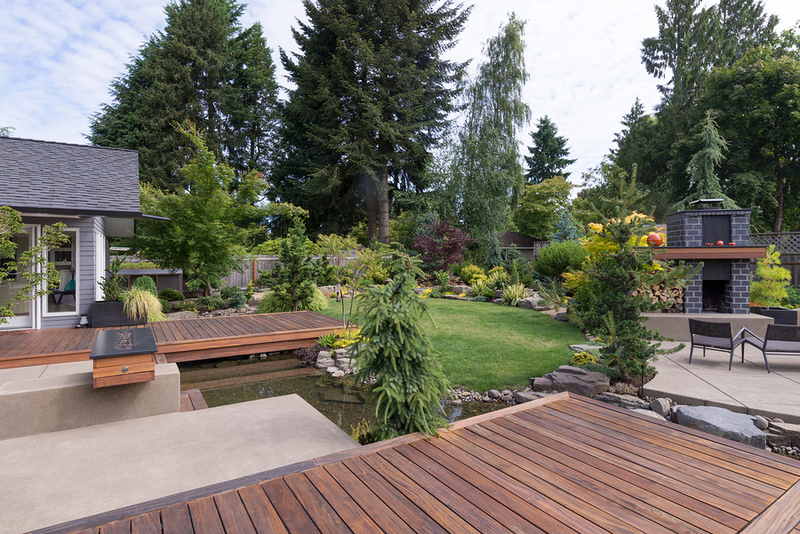 With careful planning and the right hard landscaping, modern gardens can be extremely low maintenance too. 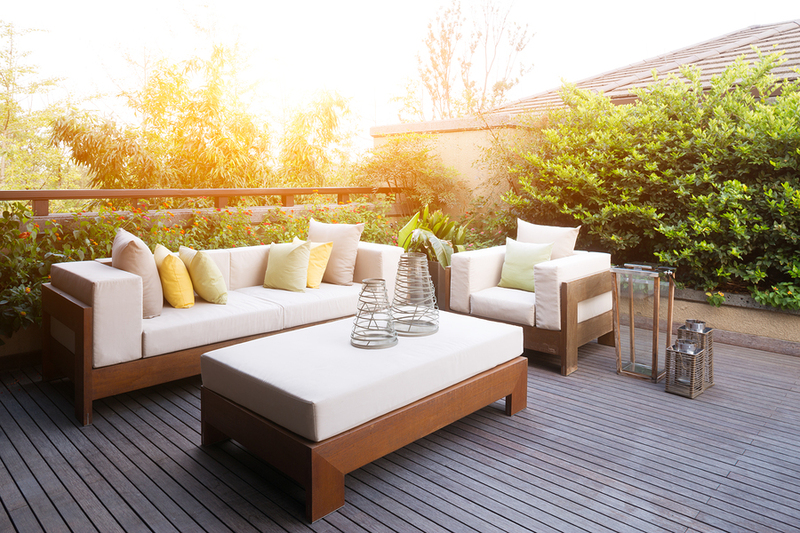 The perfect outdoor living space is one that echos everything you love about your home, but outdoors. 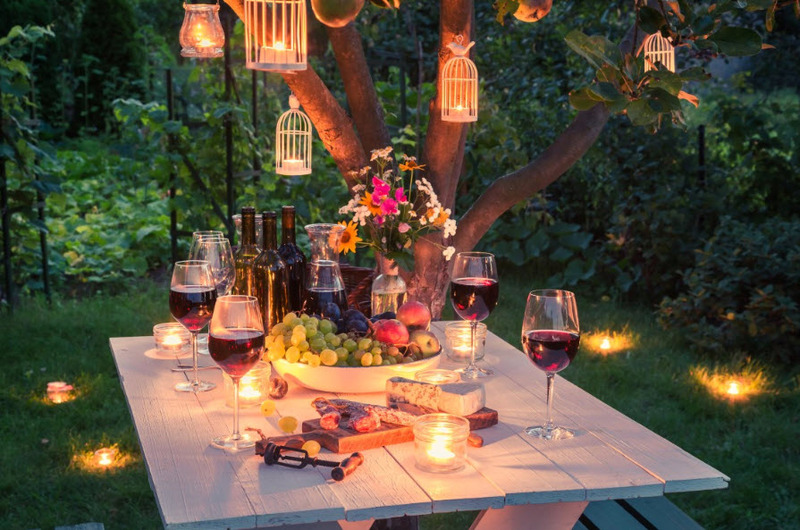 With all weather rattan furniture, hard wearing slabs or decking, low maintenance evergreen planting and artificial grass you can literally make the most of every available ray of sunshine we get. With artificial grass, there's no mud! This kind of lifestyle garden matches the way we want to live today. So few of us have time for gardening. We prefer to be out & about hiking, walking, cycling or shopping. 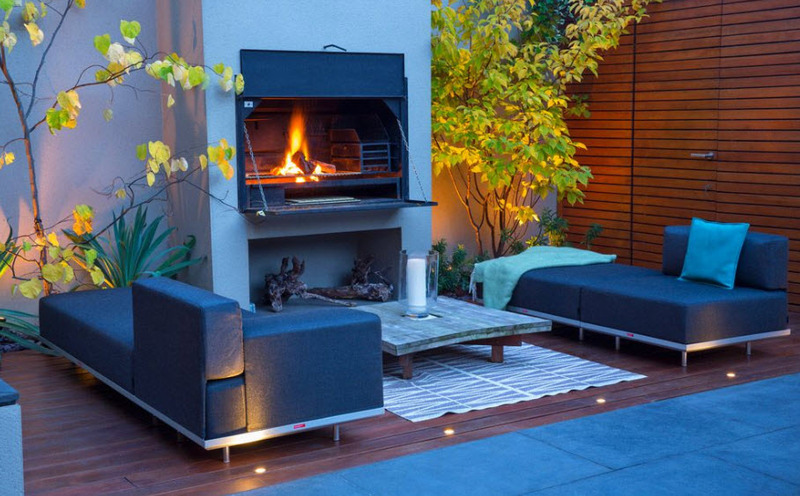 A low maintenance outdoor living space is a very appealing lifestyle addition to a modern family home and can be one of the best investments you can make that will attract future buyers to your home like bees to a honey pot. Here Are Some We've Done For Our Customers Recently & They Love Them! 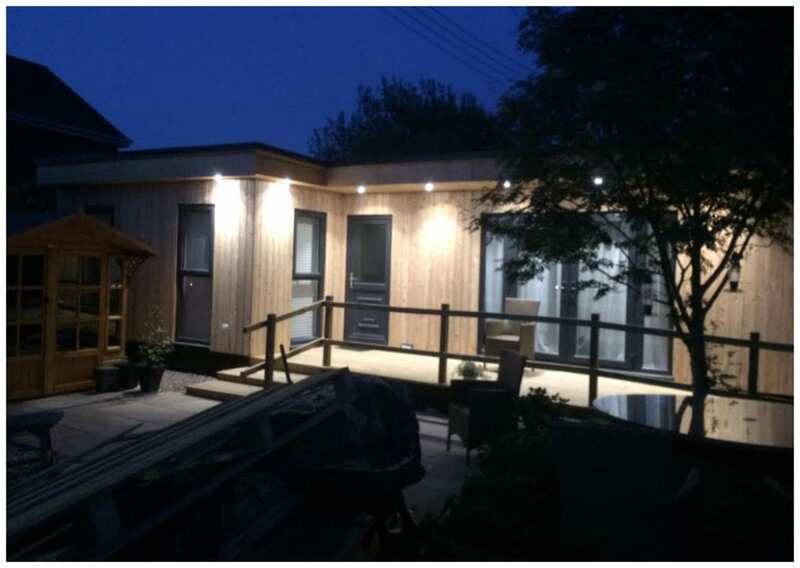 With our annexes being classed as mobile homes decking and hard landscaping offers the perfect finish to every project. 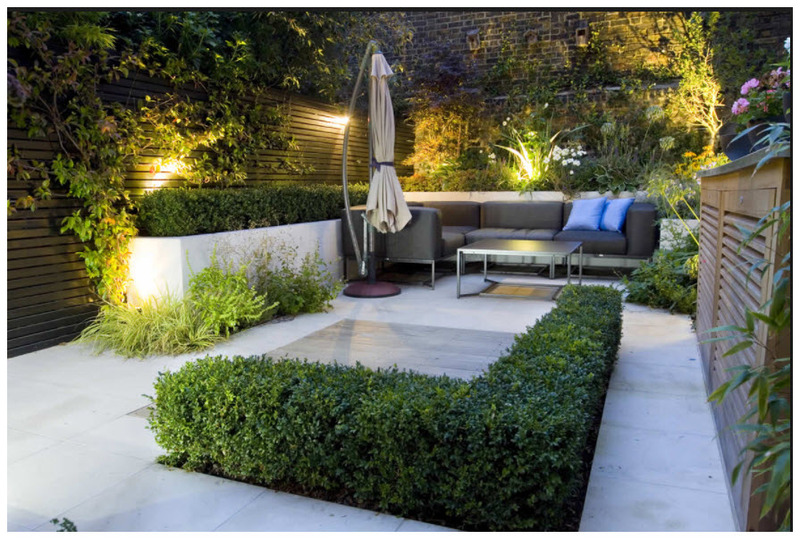 With your new neighbour at the bottom of the garden it can be the perfect time to take a whole new look at your garden space and create a more low maintenance modern looking space that you all enjoy. After all annexes are helping bring families back together. 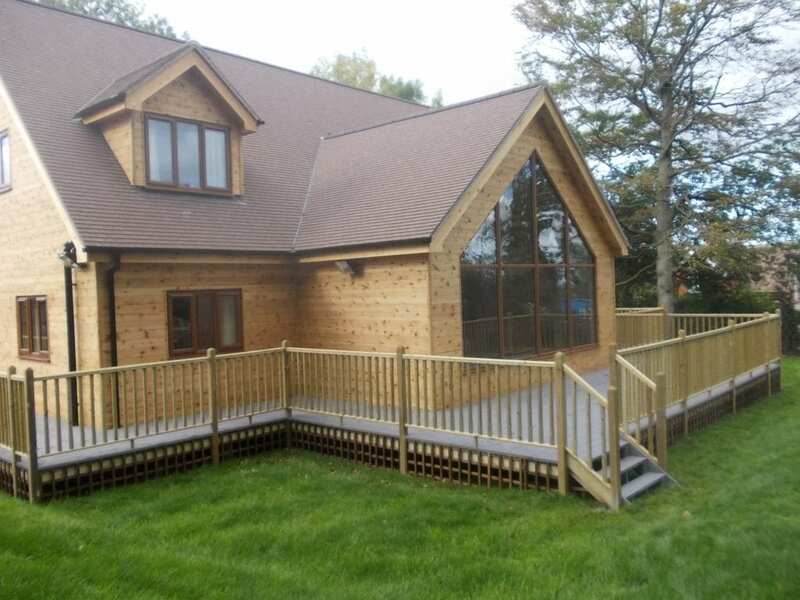 Timber pergolas add structure and style to your outdoor living space and can be either left open or covered with a clear or opaque roof to provide shelter from those unexpected showers and to help protect equipment such as an outdoor kitchen. 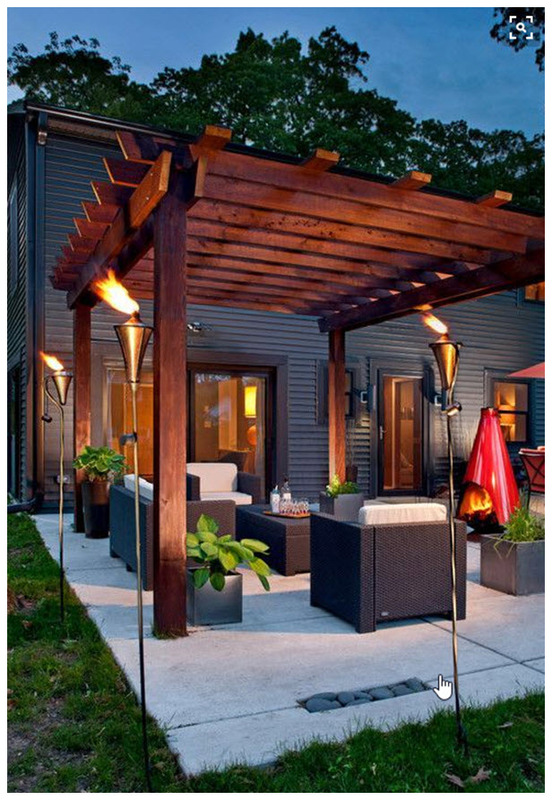 They also define the outdoor living space and make it feel more like an outdoor room. But That's Just The Beginning For A New Outdoor Living Space ..
All these wonderful patio areas and outdoor living spaces are inspiration we found on Pinterest. You can find more just like this on our Contemporary Log Living on PINTEREST. And the answer is YES! 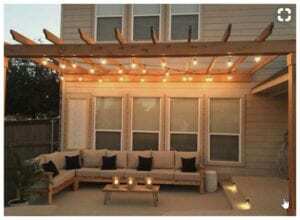 We can create you an outdoor living space like one of these, they are only limited by your imagination.